Many families experience sleep challenges and it is not a reflection on you as a parent or a failing. I absolutely do not believe in bad habits or blame. I entirely feel that there is plenty of opportunity though to gently and sensitively encourage better sleeping tendencies from birth onwards. Although you may feel alone, sleep issues affect up to 70% of parents at some point in their parenting career. Even if you feel that you have tried everything, my unique approach will encourage a positive response and allow you to start to reach your sleep goals. Just as every child is different, there are lots of different sleep tendencies and thankfully many solutions-my approach is holistic, emotionally appropriate, child centred and parent-led, taking into account your individual child’s needs, your parenting style but also with realistic expectations. My goal is to help parents become informed, enable deeper understanding, to reassure and build confidence and belief in a compassionate and non-judgemental setting that will help you during this vulnerable time. Hello and welcome to Sleep Matters with Lucy Wolfe, I am so pleased that you have found me; I can help to transform your disrupted sleep life wherever you are located in Ireland and all around the world. 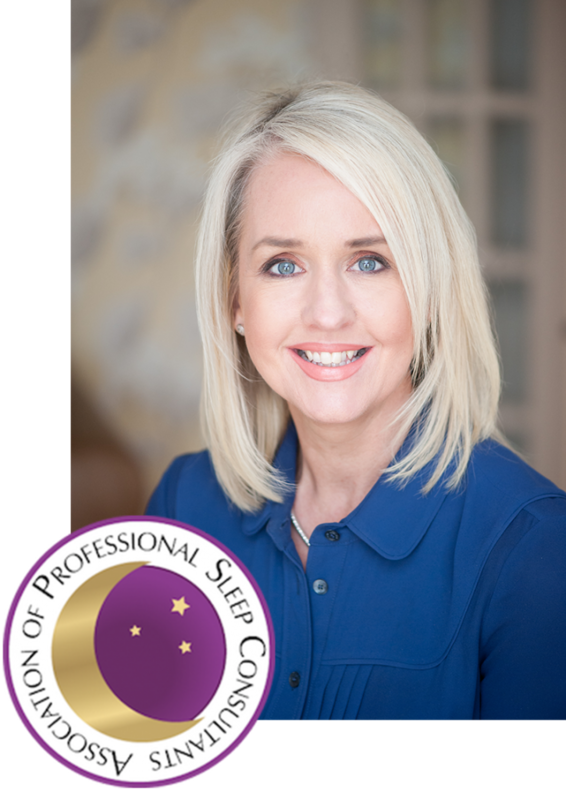 I am a full time Sleep Consultant and Mum of four young children, Author of the bestselling book- The Baby Sleep Solution and creator of the 100% natural “Sleep Through” Bed and Body Sleep Spray and Relaxing Rub. My work is focused on helping parents to establish positive sleep practices for their children from birth to 6 years of age, without using Cry-Intensive strategies. My approach is takes every facet of your child’s story into account and I help inform and identify core reasons that may be affecting your child’s Sleep Ability, and by making appropriate changes gently unlock their natural, inherent sleep skill set, enabling them (and you) achieve a deeper, more rested and less interrupted sleep overnight and to nap well during the day too. All this can be achieved without leaving them to cry alone. Thanks to many years experience in assisting families I have a proven track record of success and can’t wait to share this with you. I will never support or endorse leaving your child alone to “cry it out” or use cry intensive strategies. I encourage you to use, when required, my Stay-and- Support Approach that allows you to be physically responsive, verbally reassuring and emotionally connected as you accompany your child; to always respond, to soothe and to calm them for the duration of their sleep learning journey…. until they feel more safe and secure in their own Sleep Ability. Are you REALLY tired? Have you tried everything, or simply just don’t know where to start? Is your baby/child waking multiple times throughout the night? Rocking or walking baby to sleep? Does it take you ages to get them to go asleep? Driving or rolling baby to sleep during the day and at night? Lying down with your child, holding hands, rubbing them to make them go to sleep? Are they nursing or bottle feeding excessively at night? Are you replugging the dummy multiple times during the night? Does your child stay awake for long periods of time overnight? Is it easy for them to go to sleep but they have trouble STAYING asleep? Suffering from Nightmares or Night Terrors? Are you struggling with short daytime naps? Does your child resist day sleep? Need to end co sleeping but don’t know how? Want co sleeping to work but don’t know how? Our little girl was nearly 7 months when we started working with Lucy. She literally saved my sanity. I was so sleep deprived I could barely function. My partner works away and I was finding it so hard, firstly as a first time parent but also with a baby who never slept! Our girl would only sleep 45 mins at a time. … I could find myself up to her during the night so much that I used to end up sleeping on the floor beside the cot as it was just easier that up and down all night ! I was really nervous when I rang Lucy at the start, I felt like she would think I was a bad mother for not being able to cope. Lucy was the exact opposite she was so so supportive and not once made me feel bad.